SANTA ANA, Calif. (Oct. 29, 2018) – Volunteer auxiliary group Angelitos de Oro recently announced its Angelitos Card Week fundraising total of approximately $350,000 to benefit Big Brothers Big Sisters of Orange County and the Inland Empire. The shopping fundraiser was presented in partnership with South Coast Plaza from Oct. 3-9, and helped support the nonprofit’s High School Bigs initiative, one of three mentoring programs offered to youth facing adversity. Angelitos de Oro celebrated the 17th anniversary of card week in 2018. This year’s fundraiser was co-chaired by Merrilee Harris and Catherine Sloan. On Oct. 2, a Preview Day Champagne brunch co-chaired by Cari Young and Molly McCray served as a kickoff to the week of shopping. 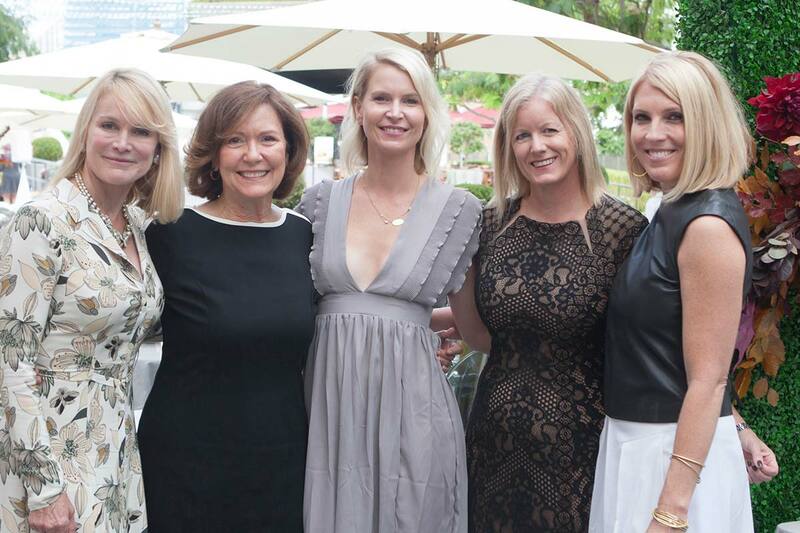 Held in South Coast Plaza’s Garden Terrace and attended by more than 300 cardholders, the event featured heartfelt remarks from Keane, Angelitos de Oro President Karen Taylor and Debra Gunn Downing, executive director of marketing at South Coast Plaza. Preview Day boutiques included Aquazzura, Bottega Veneta, Diptyque, Escada, Intermix, Oscar de la Renta, REDValentino, Stuart Weitzman and Tadashi Shoji. Participating boutiques showcased seasonal looks and invited attendees to shop with their Angelitos Card to receive 20 percent savings one day early, with 10 percent of proceeds donated to Big Brothers Big Sisters through Angelitos de Oro. To-date, the auxiliary has contributed more than $6.5 million to support the nonprofit’s programs that match a volunteer mentor one-to-one with a youth facing adversity.